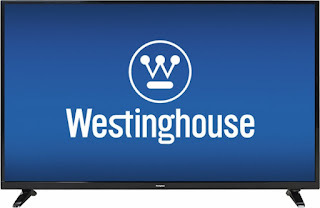 Today (1/16) ONLY - Best Buy is offering Westinghouse 50" 1080p LED Backlit LCD HD TV for $229.99 (Retail $299.99). Pay through Visa Checkout to drop the price to $204.99 and get free shipping! *Only can be used one time per account. See every last piece of detail with this Westinghouse 1080p LED TV. Backlighting delivers outstanding contrast for darker, richer blacks, and vivid color reproduction ensures image accuracy across the screen. An ultra-slim bezel on this Westinghouse 1080p LED TV means that distractions are kept to a minimum when you're enjoying the game or your favorite movie.